NEW! 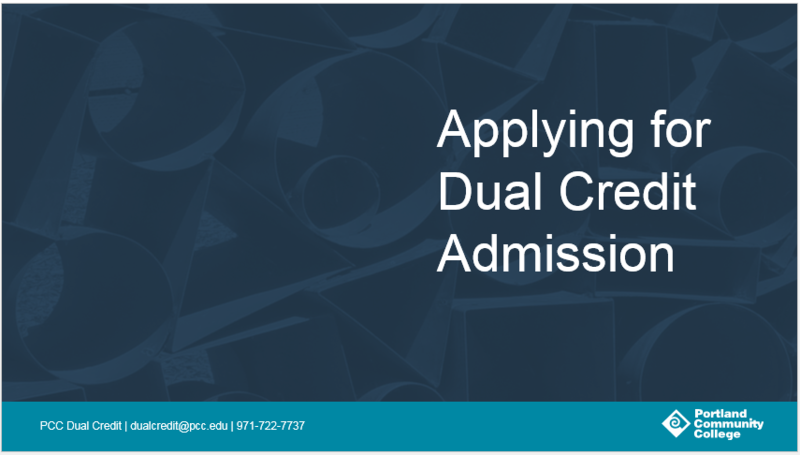 Dual Credit admission video! 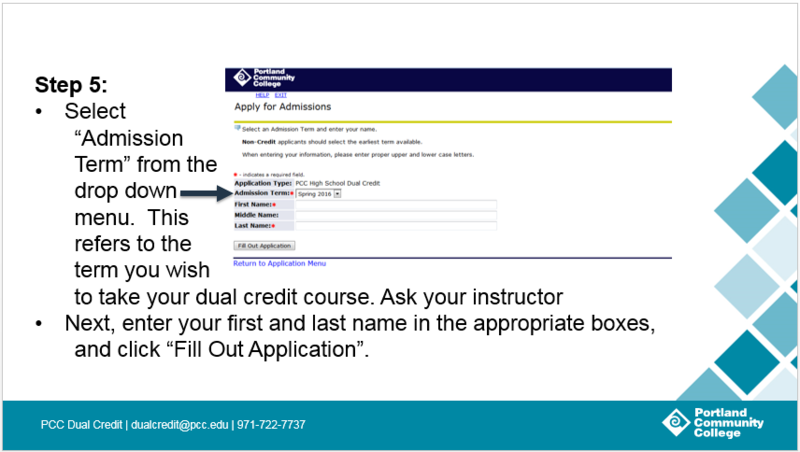 Welcome to PCC Dual Credit! 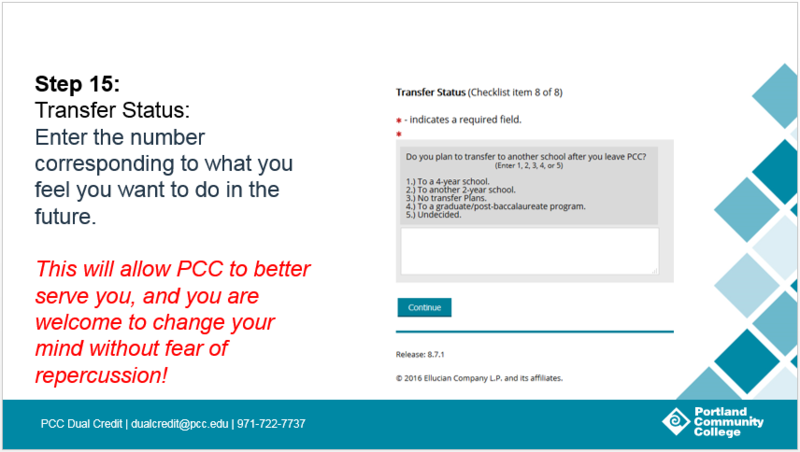 The below presentation will guide you through the steps necessary to successfully apply for admission to PCC Dual Credit. Please complete the following steps in the exact order shown and double check your entries for accuracy. 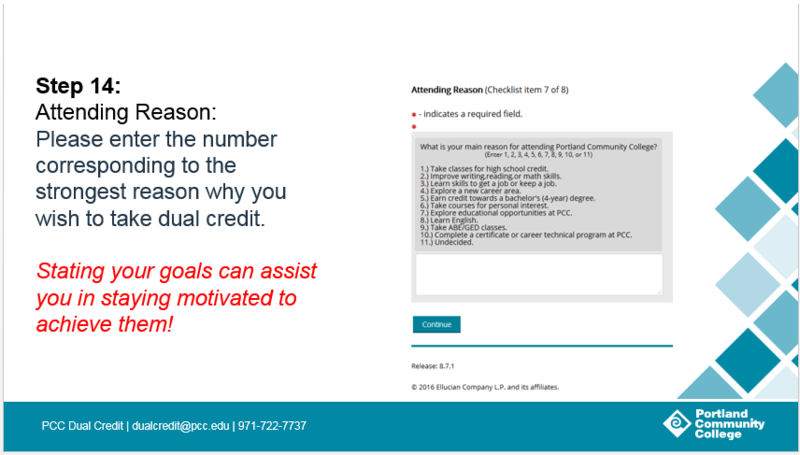 Completing the steps improperly will result in your inability to register for classes. 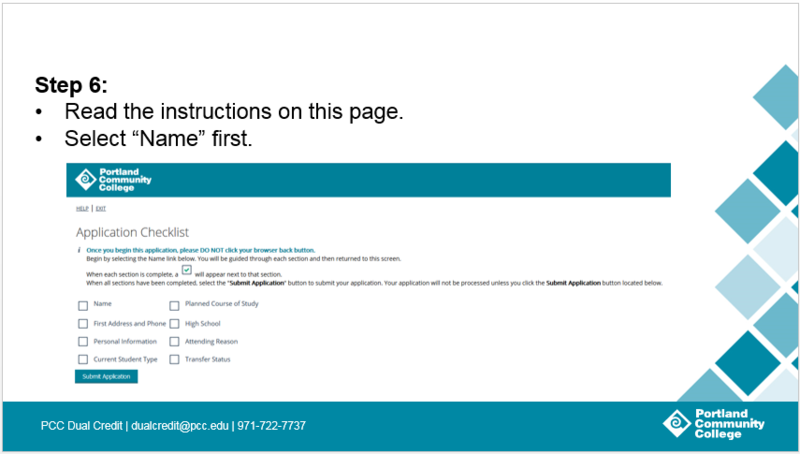 Read the instructions on this page. Select ‘Name’ first. Name: Verify the spelling of your legal name. 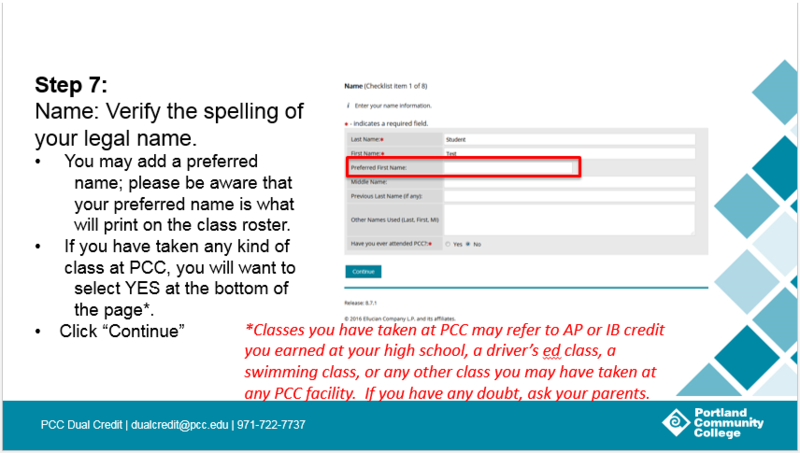 You may add a preferred name; please be aware that your preferred name is what will print on the class roster. 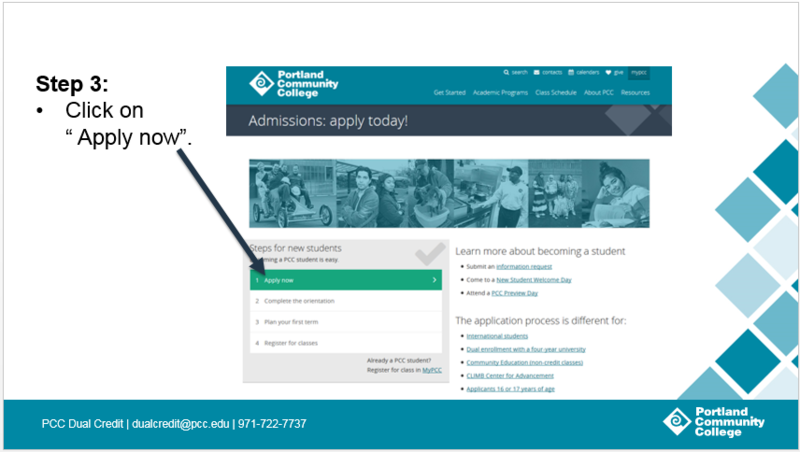 If you have taken any kind of class at PCC, you will want to select YES at the bottom of the page*. Click ‘Continue’. Address and Phone: Enter your complete address (including your house number) and phone information. Using your home number or a parent’s number as a secondary phone number is a good idea. 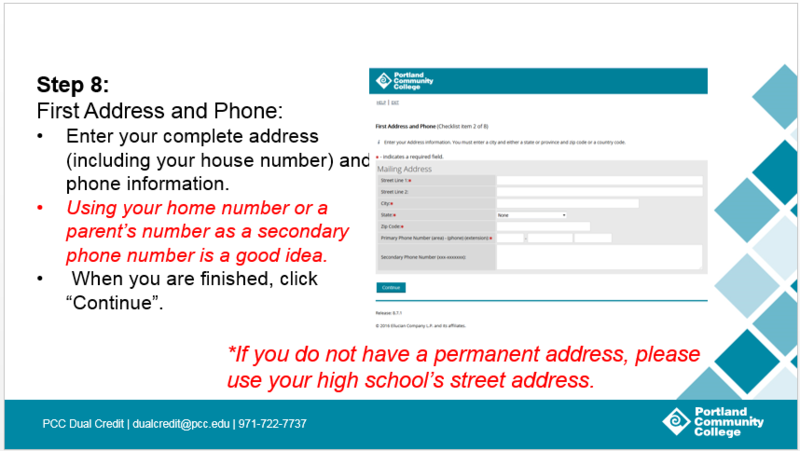 If you do not have a home address or phone, you may use your high school’s address and/or phone number. When you are finished, click ‘Continue’. The address entered will be checked against a current USPS database for accuracy. 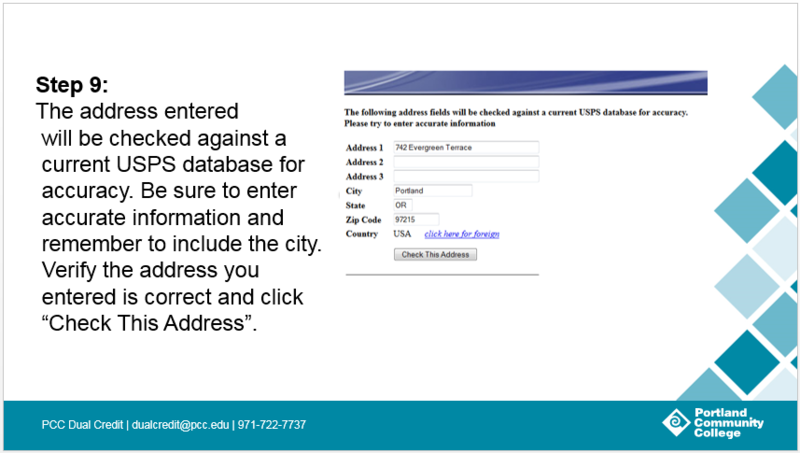 Be sure to enter accurate information and remember to include the city. Verify the address you entered is correct and click ‘Check This Address’. 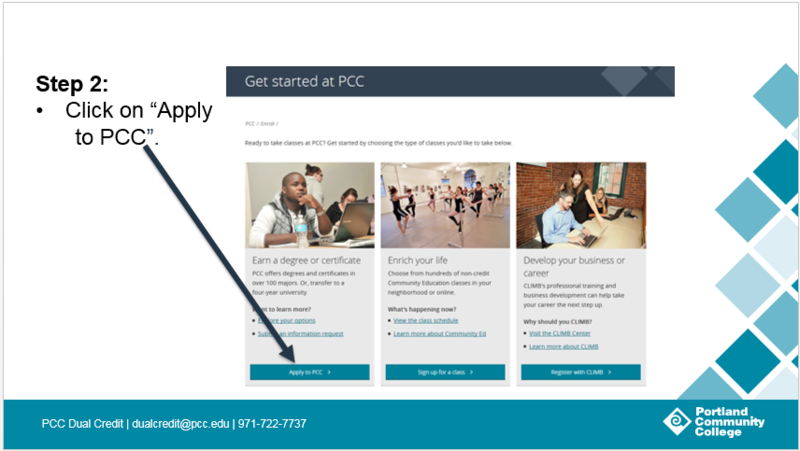 Personal Information: Enter your email address, gender, birthdate, and other information. Make sure the email address you enter is one that you use regularly. 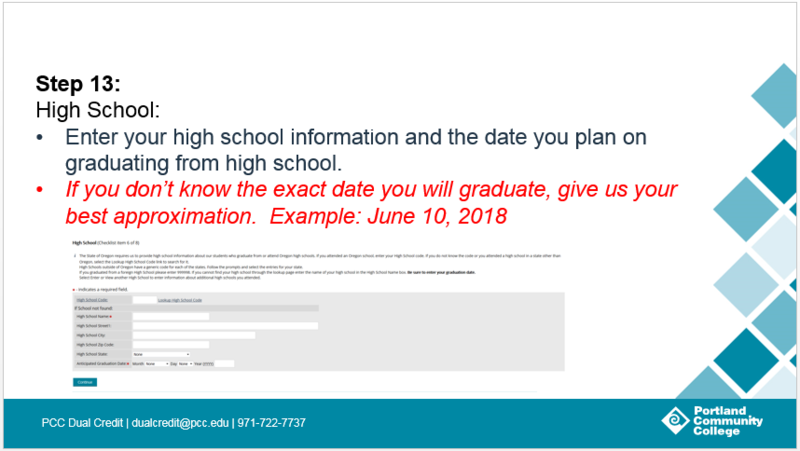 Your confirmation email will be sent to this email address, and you will need this information to set up your account and register for classes later. 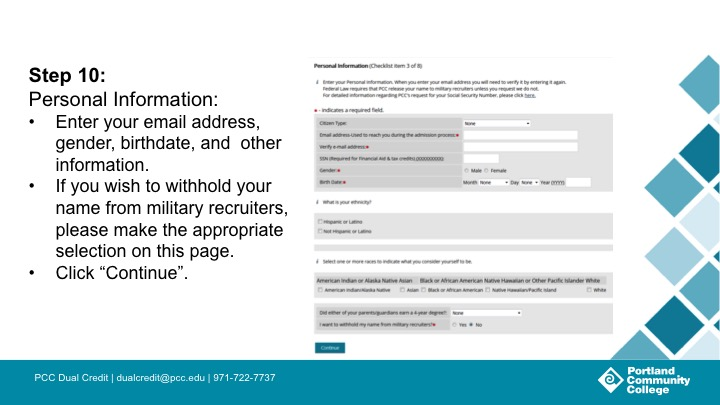 If you wish to withhold your name from military recruiters, please make the appropriate selection on this page. Click ‘Continue’. Current Student Type: Answer this as it applies to you. 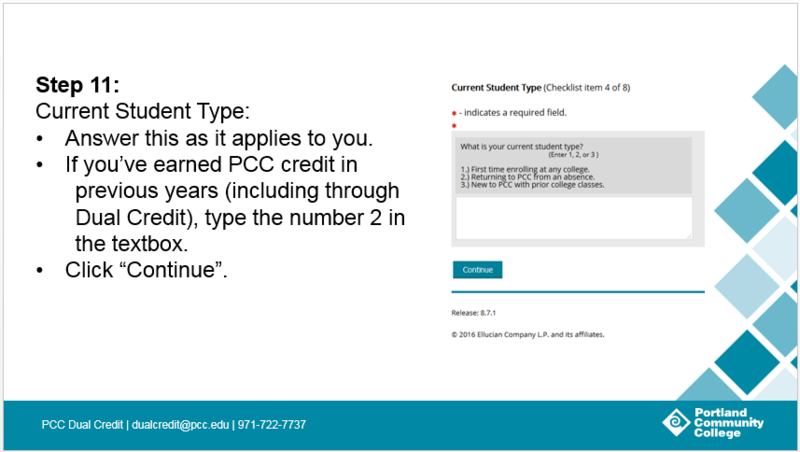 If you’ve earned PCC credit in previous years (including through Dual Credit), type the number 2 in the textbox. Click ‘Continue’. 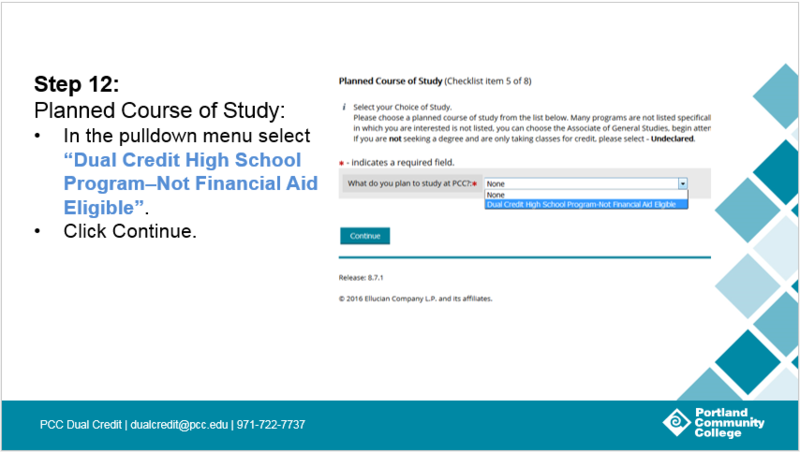 Planned Course of Study: In the pulldown menu select ‘Dual Credit High School Program–Not Financial Aid Eligible’. Click ‘Continue’. Attending Reason: Please enter the number corresponding to the strongest reason why you wish to take dual credit. Transfer Status: Enter the number corresponding to what you feel you want to do in the future. Submit Application: Submit Application: If your application has all boxes checked off, then you are ready to submit it! 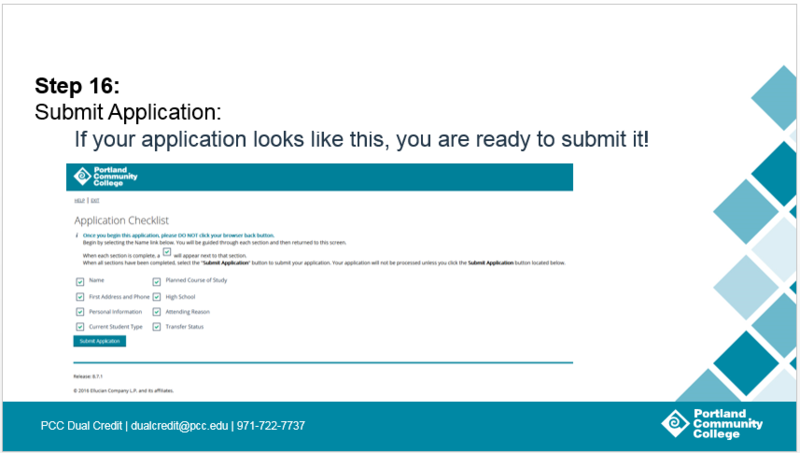 Application submission confirmation screen: Verify the email address is accurate. 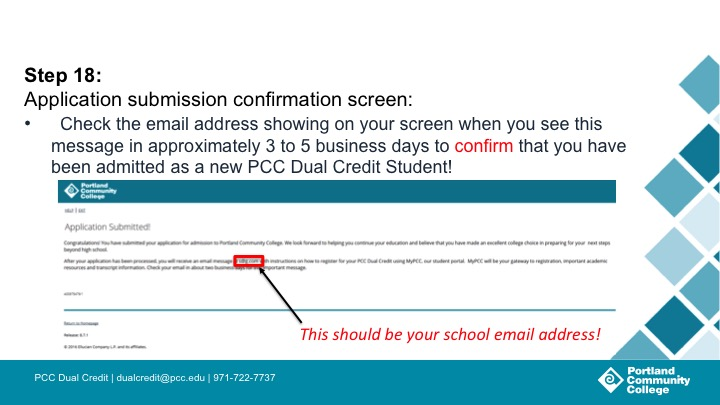 In approximately 3-5 business days you will receive your ‘Admission Acceptance Letter’ emailed to this address. This will contain your PCC username and ID #. 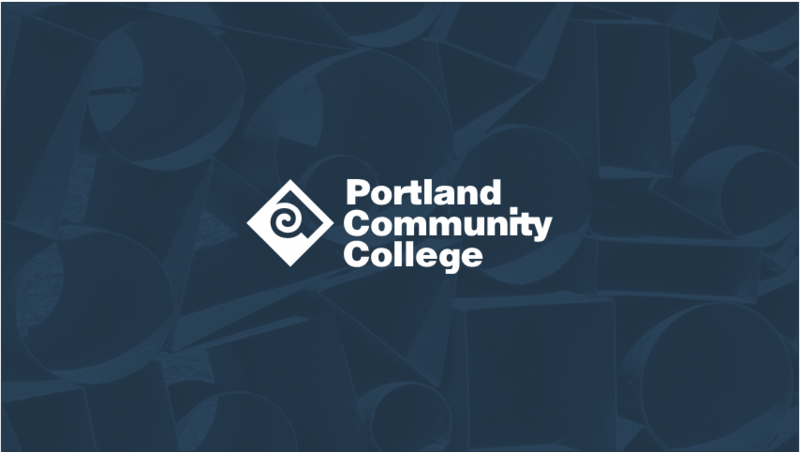 If you are still having issues, contact dualcredit@pcc.edu. 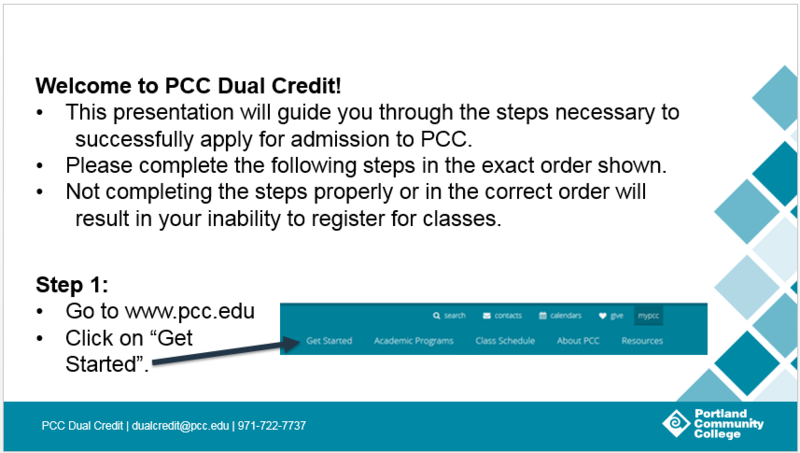 Students can register for non-credit classes at PCC (such as driver education) using their Dual Credit admission? 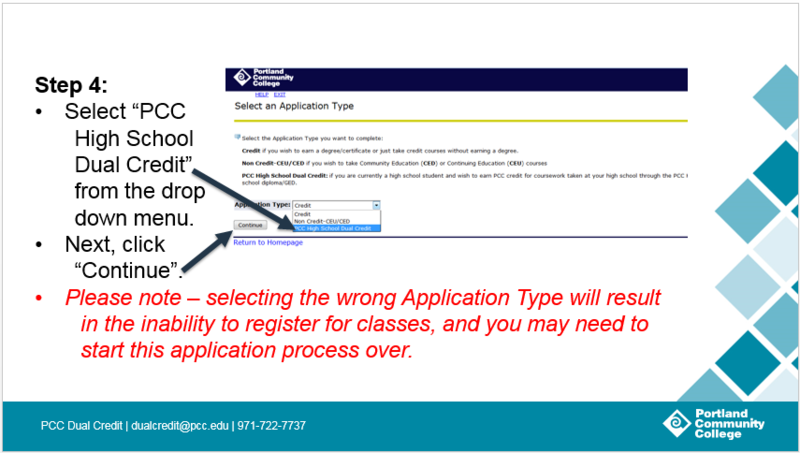 That means students do NOT need to re-apply to PCC as a non-credit student in order to register for non-credit classes.